MiNightVet Southampton is a small animal out of hours veterinary emergency service, welcoming dogs, cats, birds, exotics, poultry and small mammals. We are based at Shedfield, Southampton providing emergency overnight and weekend care to clients. Our service is also available to clients from other practices who have arranged this. Please see the list below to find out if your veterinary practice can use our service. The MiNightVet team provide a dedicated emergency service with full-time night staff who will be alert and effective even at unsociable hours. The qualified vets and nurses have a special interest, experience and training in all aspects of urgent critical care. 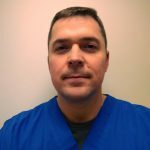 Juri qualified from the Lithuanian Veterinary Academy in 2003 and has been working in the field of small animal emergency and critical care since 2008. He enjoys all aspects of small animal emergency and critical care medicine. Juri joined our MiNightVet Southampton team in 2014. At home he has two guinea pigs called Ralph and Emily and in his spare time enjoys travelling, reading and spending time with his two children. Sarah graduated from the University of Bristol in 2010 and has worked in busy small animal hospitals ever since. After joining Animed Vets in 2014, she spent a year working as part of the day team before transitioning to MiNightVet Southampton to pursue her field of interest, emergency and critical care. She particularly enjoys emergency surgery. Outside of work Sarah is a fitness fan, netball player and loves to travel. She likes to relax after a night shift with her dog and fellow daytime snoozing buddy, Jax the Staffie. Kirsty qualified from the Royal Veterinary College in 2017 and joined Animed Vets shortly after. She enjoys all aspects of the job and has a particular interest in surgery and emergency care; in the future Kirsty is interested in working towards advanced qualifications in these areas. Kirsty joined the MiNightVet Southampton team in 2018. She owns a cat called Tigger whom she rescued, as well as a rabbit called Letty and a much loved tortoise called Harry. Away from work she enjoys netball, reading and going to the cinema. Gemma trained and worked at Alver Vets for 10 years, studying to become an RVN. When she qualified in 2007 she was working nights for Vets Now, an emergency and critical care centre. Gemma thoroughly enjoys emergency and critical care work as she finds it exciting and rewarding at the same time. 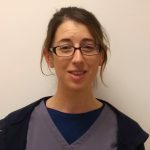 She left Vets Now in March 2016 and joined our MiNightVet Southampton team, again specialising in emergency and critical care predominantly, but also nursing and providing care for the in-patients at the clinic. 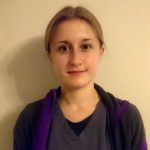 Gemma loves working with animals, her passion is nursing the patients and as well as enjoying laboratory work too. She has a Beagle, Woody, two chickens named Daphne and Madge, and several tropical fish. Holly has been working in the field of small animal emergency and critical care since 2009. She joined the MiNightVet Southampton emergency out of hours team based at Shedfield in 2016. She enjoys caring for our many inpatients, and finds her role very rewarding. Holly really likes being part of such a dedicated team. 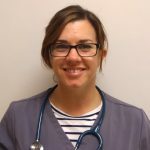 Harriett has been qualified as a veterinary nurse since 2014. In this time she has worked a variety of roles where her interest and enjoyment in emergency and critical care flourished. Harriett joined the MiNightVet team to specialise in this area. Outside of work she enjoys running and long walks with her dog. If your vet is not listed then you will need to use the on-call facilities that your own vet has chosen to provide. Please call your practices usual number and follow their instructions for emergencies. MiNightVet is part of CVS (UK) Limited, a company which owns over 500 veterinary practices in the UK.